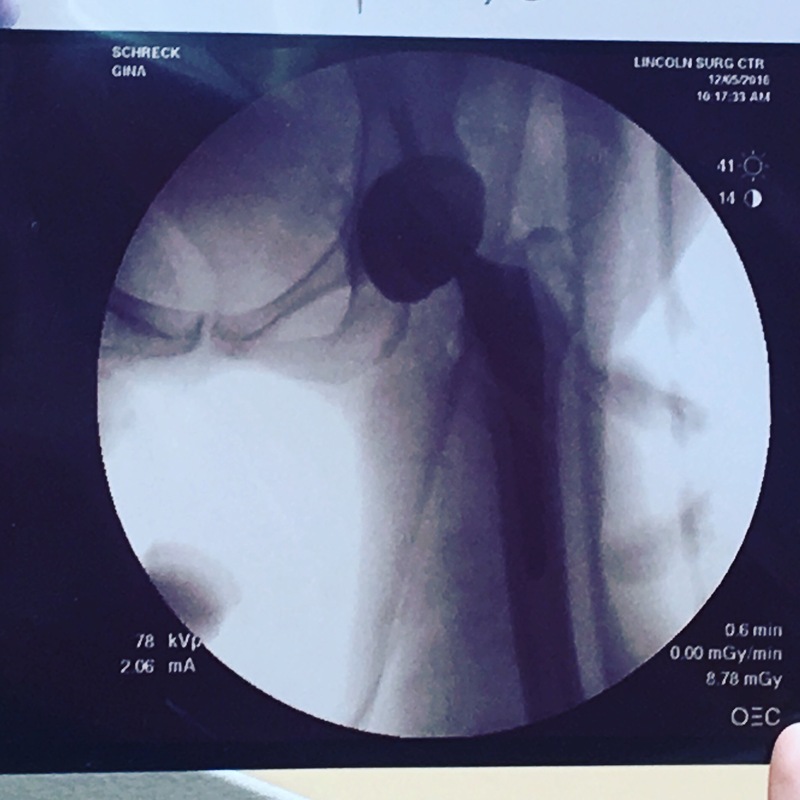 13 days ago I had a hip-replacement surgery, which I am choosing to call my first bionic surgery. It has nothing to do with aging or arthritis, but instead the assimilation of the super-robot body I will have in a few years. I had heard that today’s hip surgeries were quite remarkable and the recovery was only a few weeks. My surgeon said I didn’t even have to spend the night, unless I was experiencing extreme pain, in which case, I could stay one night. The competitive side of me was determined to be out of that surgery center in a matter of hours. I wanted the staff to remark on how amazing I was to be walking so soon and so effortlessly. I wanted my family to stand in awe of my powers to heal and do what no mere mortal had done before. 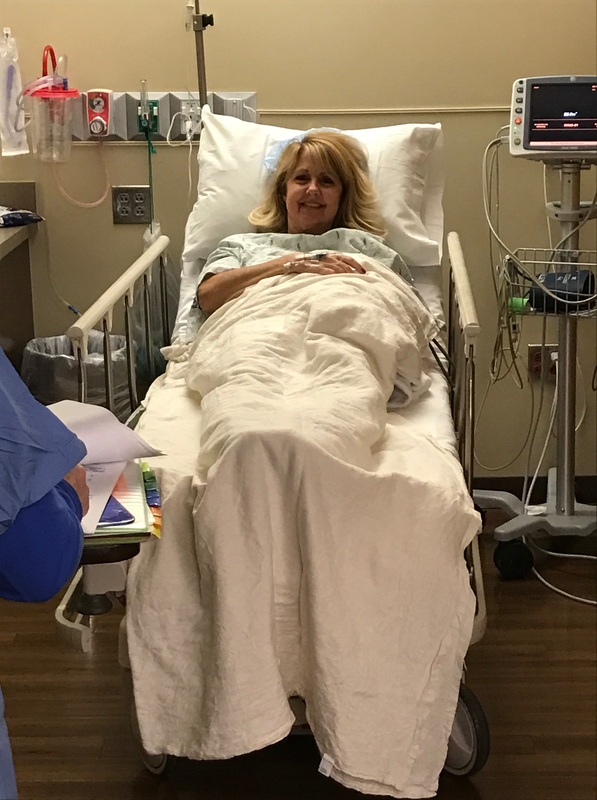 They thought they would have to wait on me hand and hip, so I wanted to show them I could not only take care of myself but our two dogs and one-week-old puppy we decided to get just before I went into surgery as well. I would be the best at this hip surgery recovery! 8 days into my recovery I became very frustrated that I still needed to sit in a comfy recliner chair most of the day because my regular desk chair started hurting my hip and leg. I was frustrated because sitting in the comfy chair made me fall asleep too easily. I was frustrated that when I got up I had to stand and stabilize for about 10 seconds before I take my first step. How am I supposed to be the best at this when I was still having to stay cooped up in the house? I went stir crazy sitting in the house and chair most of the day. I thought I’d be in a super productive mode, planning for our launch of DIY.social in 2017 and creating content to load into the site. I should be writing every day, but as soon as I would start, I’d fall asleep. I have no motivation. No focus. This is getting ridiculous. Have you ever had times in your life when you felt as if everything was stalled? The plans that you had are not moving at the pace you wanted or expected them to? It’s frustrating. You’re not sure if it’s something you can control or if you just need to scrap them and do something else. Perhaps that was a bit drastic. Could it be that you have been working so hard and pushing yourself to that point of mental and physical exhaustion? 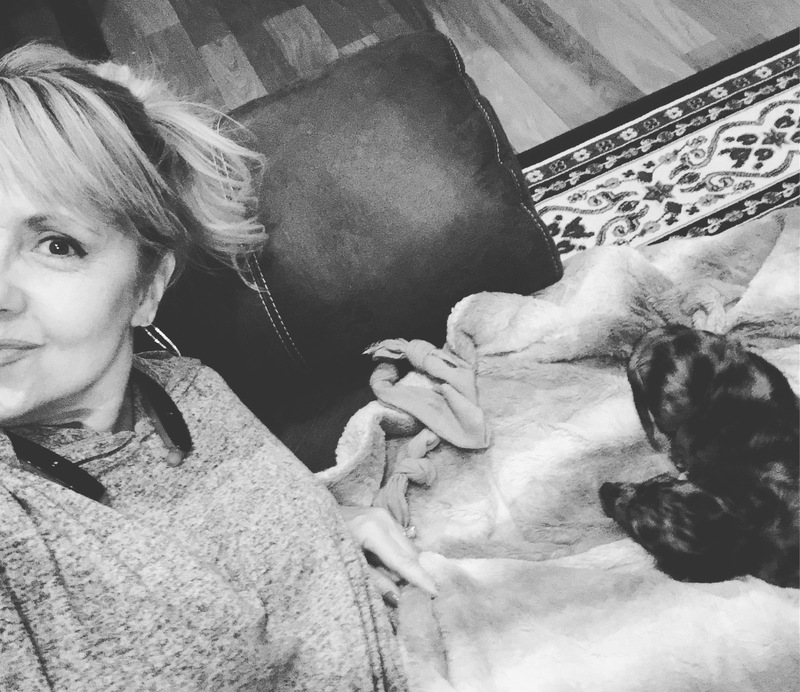 Two weeks after my surgery, what I’ve learned is that sometimes it’s just good to make yourself sit awhile, pet puppies, and take naps whenever you feel tired. It’s ok to be unproductive for a period of time and perhaps that helps to bring more focus and greater productivity after the time of rest is complete. Sure we know that extra rest is important to heal a body, but perhaps a little extra rest can heal a tired mind as well. Going through heart bypass surgery was similar for me. While I was up walking very quickly the next day, and out of the hospital in two days, I “stalled” several times over the next six months. The frustration of the road to full recovery was often, but it changed my life. I do a lot more playing with puppies, now. Interesting, my friend, “WHO CALLS HERSELF GINA” – it seems like the truth is finally starting to appear – remember when I mentioned that my hospital recovery (for similar but perhaps more complex surgery than yours) was 3 to 4 days – then, two weeks to a month for complete ‘normal functionality’ – and I clearly remember you said , not me, ‘next day out of hospital, walking stairs, going out into the ‘real world’, would not be a problem, yes no maybe? – Just finished reading your article(WordPress posted on Facebook ) only to find out what the impetus was for your (master) recovery plan, (another thing we had in common) and also it was reassuring to find out that you really are ‘human’ like the rest of us! – Don’t worry, go ahead and take your naps, pet your puppies (pictures please?) And (suffer through) the quiet solitude, or perhaps listening to calming music (I used classical music when I was in your situation), recharge your mental batteries (always cathartic), and don’t worry (FOMO), the world will still be there waiting for you when you’re (body and mind) is ready and everyone (including myself) will be glad to see you functioning at 100% !